With strong support from the Secretariat of the Shanghai Cooperation Organisation (SCO), the “Belt & Road Innovation and Development Forum - The Belt & Road and Eurasia: Reality‧Prospects”, organized by China Academy of Culture, Silk Road Economic Development Research Center, Maritime Silk Road Society (MSRS) and One Belt One Road Research Institute of Chu Hai College of Higher Education, is scheduled for 3 November 2017. 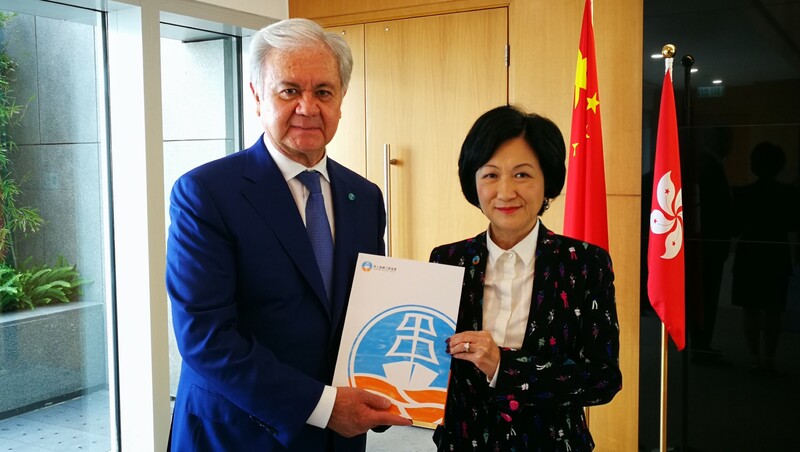 Accompanied by Mrs Regina Ip, Co-Chair of the Maritime Silk Road Society, the SCO delegation kicked off their official programme in the morning of 2 November by visiting the Chief Secretary for Administration of the Hong Kong Special Administrative Region, Mr Matthew Cheung, at the Central Government Offices in Tamar. Mr Rashid Alimov, the Secretary-General of SCO introduced members of the delegation to Mr Cheung and gave a brief introduction on SCO and the Belt and Road Innovation and Development Forum. 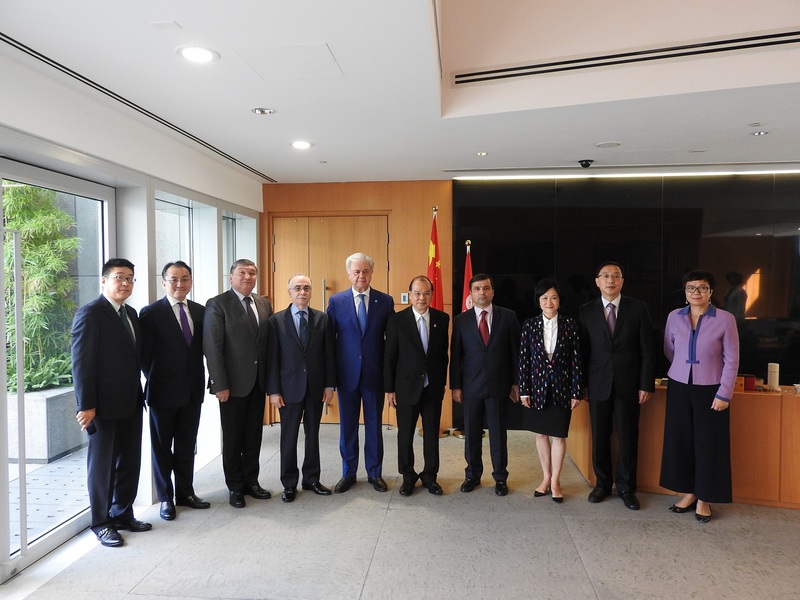 The meeting focused on discussions related to the promotion of trade and business ties and collaboration between Hong Kong and the SCO member countries. After the meeting, Mrs Ip and Mr Alimov took the opportunity to exchange publications of their respective organizations.